An estimated $3 billion worth of artifacts have been plundered to feed a global demand for antiquities. Then, imagine being offered a job in which the only requirements are to be white and male. 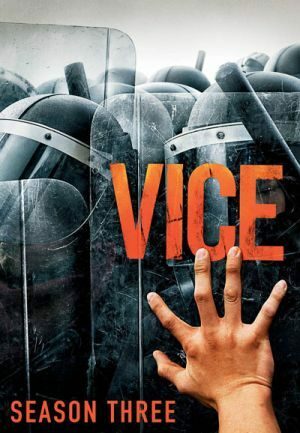 VICE is a documentary TV series that portrays the sometimes-absurd reality of what’s going on around the world. These are the controversial and intriguing stories that the mainstream media usually overlooks. From the comfort of your computer, embark on a journey to The Democratic Republic of Congo, notorious for being one of the most dangerous, poorest, and corrupt countries on the planet. This feature length documentary, “This Is What Winning Looks Like,” produced by VICE, is a disturbing look into the sexual misconduct, corruption, drug abuse, and overall incompetence of the Afghan security forces and the overall state of affairs in Afghanistan as US and British troops have began to withdraw. Getting into North Korea was one of the hardest and weirdest processes VBS has ever dealt with. After we went back and forth with their representatives for months, North Korea officials finally said they were going to allow 16 journalists into the country to cover the Arirang Mass Games in Pyongyang. After watching a very disturbing video on Youtube in which ISIS showed just how easily they could kill anybody who didn’t share their ideology, a group of young people decided it was time to take a stand. The Crisis of Civilization is a feature-length documentary that examines the major crisis that we are facing in the contemporary world. The people who live in the city of Flint, Michigan have been through a lot in the last few the years; including extreme poverty and being labeled the most dangerous city in America. ISIS, the Islamic State of Iraq and al-Sham, is the most brutally violent terrorist group in modern history. They now control large amounts of territory in Iraq and Syria.